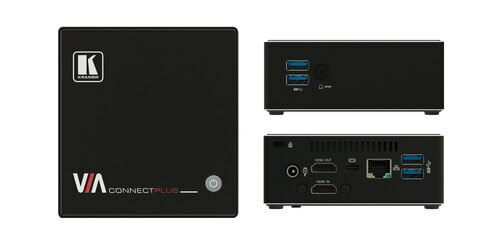 The VIA-Connect-PLUS by Kramer Electronics is the latest edition to the already popular VIA Group Collaboration and Wireless Presentation Solution Systems. 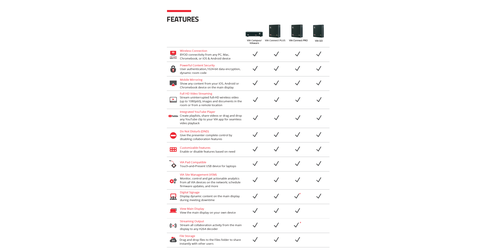 The VIA-Connect-PLUS features all the great benefits of the Connect PRO, but with the added addition of an HDMI input. 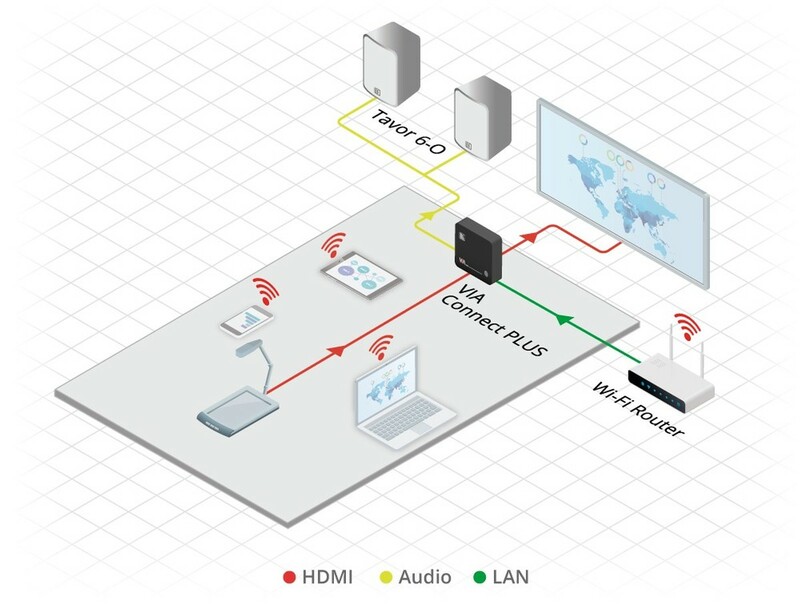 This provides users the ability to have both simultaneous wired and wireless presentation gateway without the need for additional hardware. 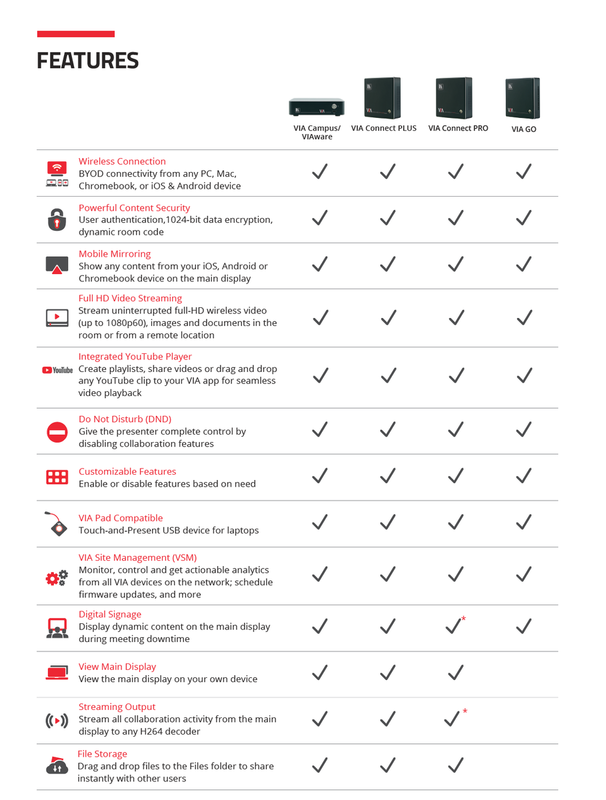 Now, with any laptop or mobile device, participants can display or stream uninterrupted Full HD Video (1080p@60Hz), images, documents, or share files of any size instantly to your display. This unit will allow for up to 4 users to appear on the display at the same time. Rounding out the main features list, is the "Whiteboard" feature. This feature will let you annotate, sketch out ideas, and edit shared files on the main display from each meeting participants device. 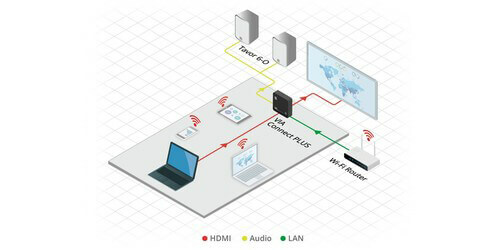 The VIA-Connect-PLUS as well features screen mirroring for iOS (MacBook, iPad and iPhone), Lollipop OS 5.0 or newer (Android), and Chromebook. 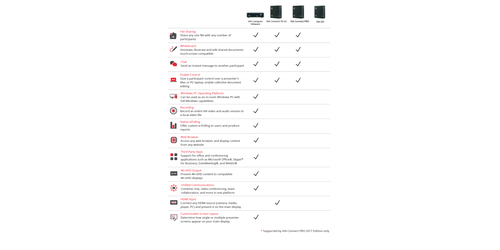 Not only is the Connect PLUS a cost effective device, its comes packed full of user friendly features, making it a perfect addition for boardrooms, conference rooms, presentation spaces, collaboration areas, and classrooms. 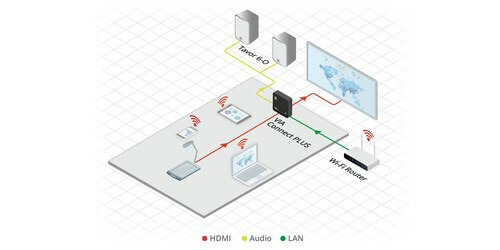 HDMI Wired Input - Enables hard–wiring your computer or other HDMI compatible device such as a camera, multimedia player or computer. 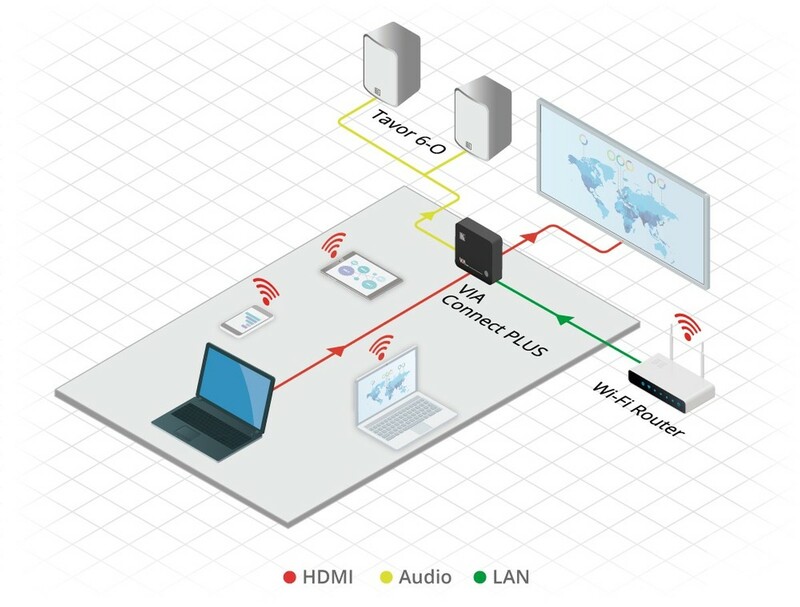 60fps Streaming Multimedia - Share HD wireless video streaming (using the VIA app Multimedia feature). 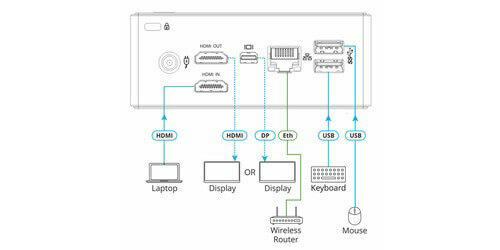 Graphic Output Formats - Outputs to either an HDMI or Mini DisplayPort display. 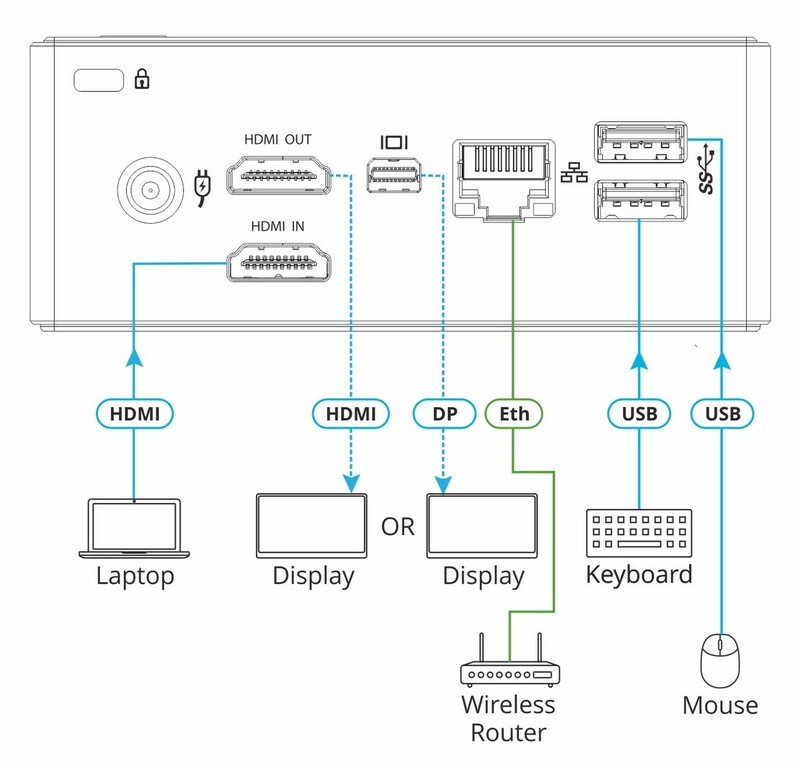 Note: Does not support graphic output to both the HDMI and Mini Display Port simultaneously. Cloud–Based File Sharing - Drag and drop files to the internal VIA cloud storage (32GB). 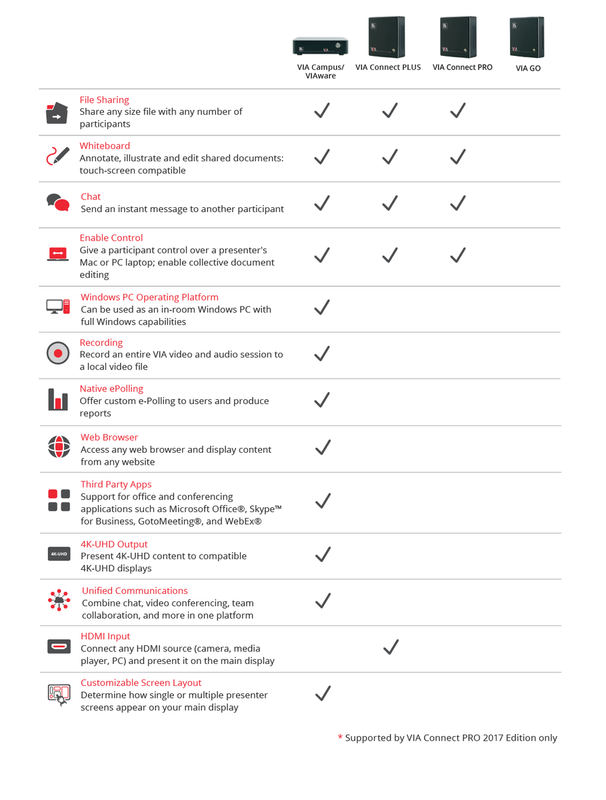 Control - Give a participant control over a presenter’s PC for true collaboration. iCloud, OneDrive, Google Drive and Dropbox Integration. Dimensions (WxDxH): 4.65" x 4.53" x 1.57"